Provides three garden solutions in one: fungicide, insecticide, miticide. Its formulation kills garden insects and mites and controls fungal diseases. 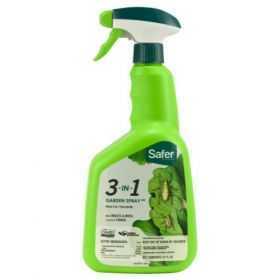 Contains patented formula to help reduce injury to most plants. Registered in all states.